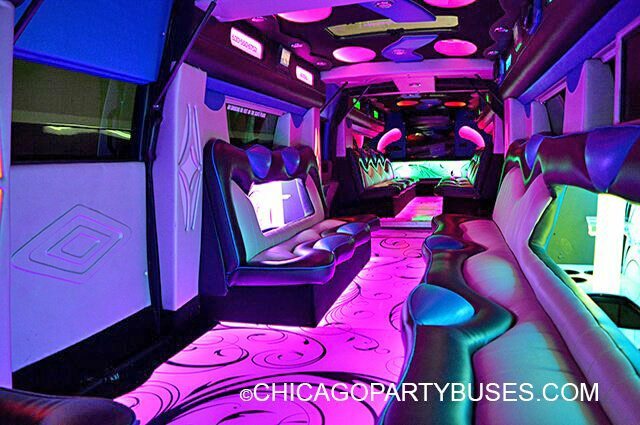 Chicago Party Bus has an entire fleet of gorgeous party buses and even a dual axle Hummer limo, all of which are available to you for your big event or night out! 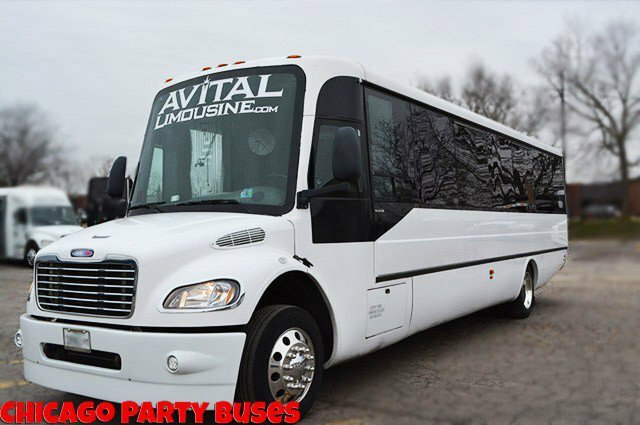 Our luxury limousine fleet has a quality that's unmatched by our competitors. 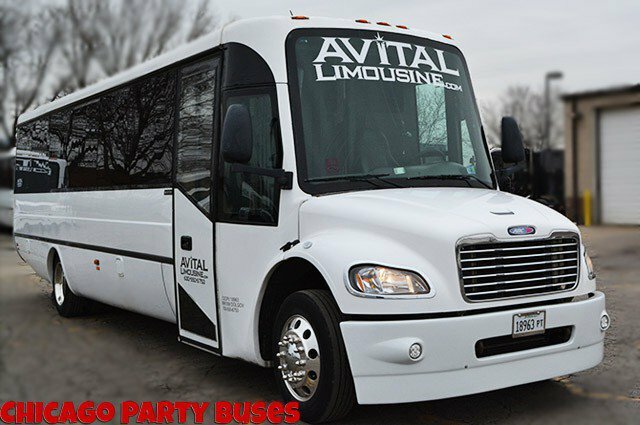 We make sure that our chauffeured transportation contains all of the latest features by constantly renovating them with the most modern of amenities. 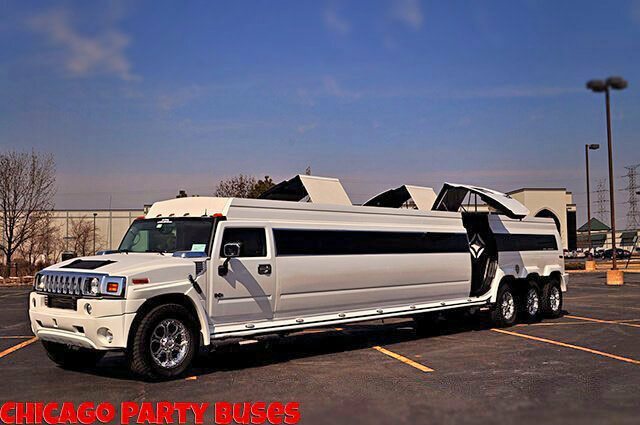 This makes for a luxury transportation fleet that is a good time for any outing. 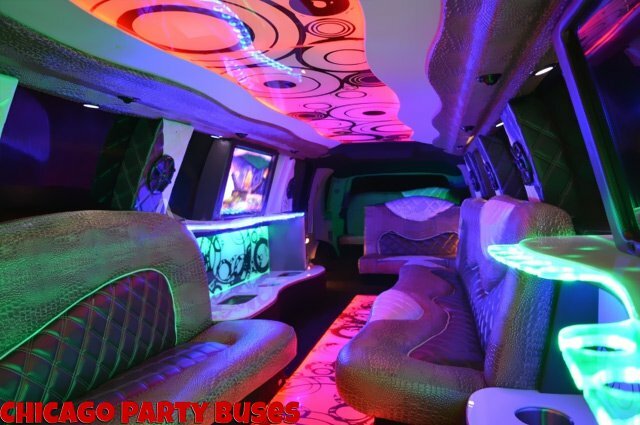 On this page we'll give you the specific details about each of our limo buses and luxury limousine rentals, including the number of passengers and information on all the exciting features including strobe lights, bars stocked with ice, seating, tvs, music, and more. If you need further info that's not listed here, or if you'd like to come and look at the buses in person before booking your trip, just give us a call at the number listed at the top of this page. We look forward to hearing from you to provide courteous limo service for your next outing! 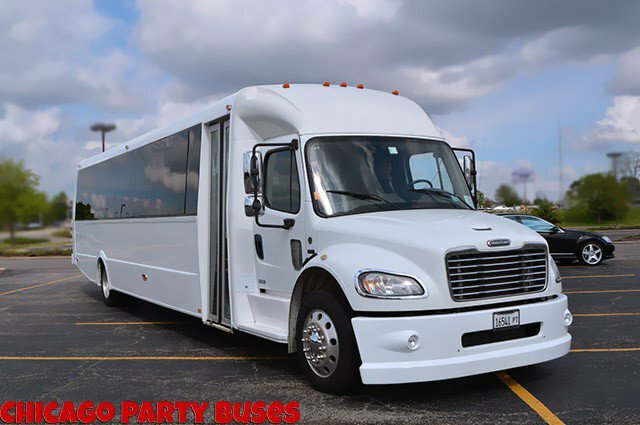 Our 30 passenger party bus is perfect for you and your friends where the maximum amount of space is needed! The custom leather wrap around seating with comfy wave shapes and cozy quilted texture will provide all the comfort that you need, as well as providing for easy chatting with your guests. The gorgeous LED lighting really sets the mood for both daytime and night time excursions. 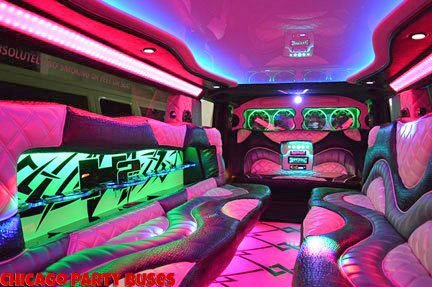 You'll love the laser lights in bar area which is complete with champagne flutes (you just provide the champagne and it's a complete party on the road!). 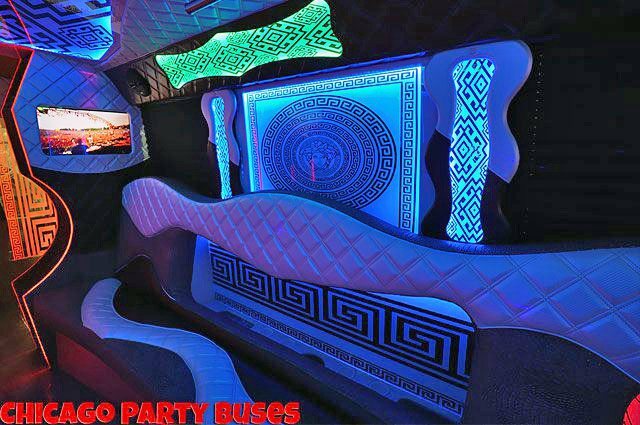 Many party buses have one, but ours have two flat screen tvs! 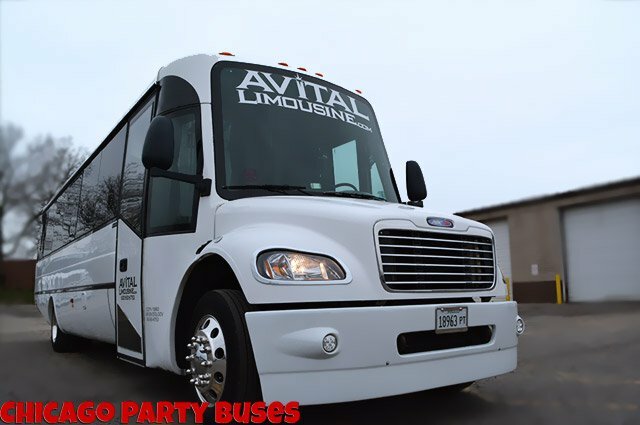 Both are large screen, and they pair nicely with our sound system for the best party entertainment on the road. The wood flooring is perfect for dancing, and since we provide a high quality sound system with both CD player capabilities and an iPod dock, you can create the perfect playlist for the ultimate evening with your friends. The Back-Lit ceiling enhances the beautiful lighting and also provides an interesting opportunity for picture taking. The air conditioning will be appreciated in those hot summer months! The optional driver partition means extra privacy for your party. 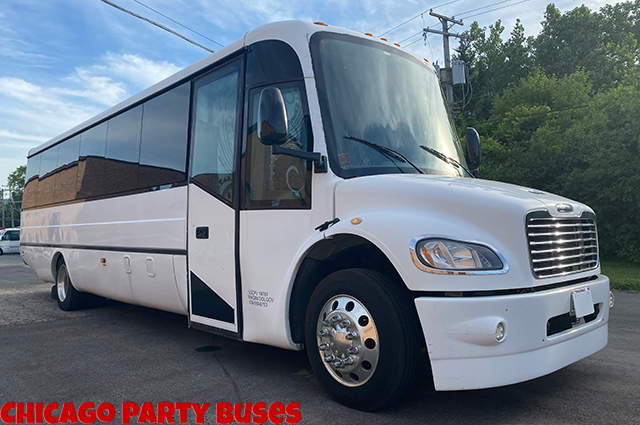 The gorgeous white exterior of our 30 passenger party bus will impress onlookers as you roll up to your wedding in style. The booming sound system is designed to get you dancing and keep you entertained while on the road. The laser light show and neon is a nice accompaniment to your selection of music! Two flat screen televisions give you double the video entertainment! Just bring your favorite DVDs! 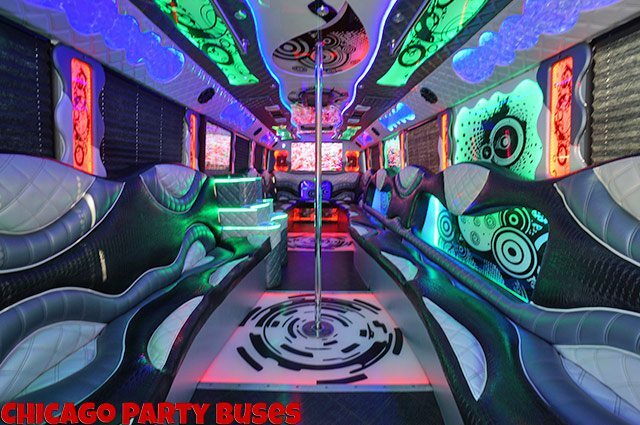 For the more adventurous, this bus comes equipped with LED lit stripper poles or dance poles, and there is a lit dance platform underneath the poles as well. The decorative ceiling helps to illuminate the space further and give you a sense of being in a much larger space. The powerful climate control system is a warm and toasty treat during those cold wintry months in Chicago. We provide the LED lit bar and two ice chests... all you need to do is bring the drinks! 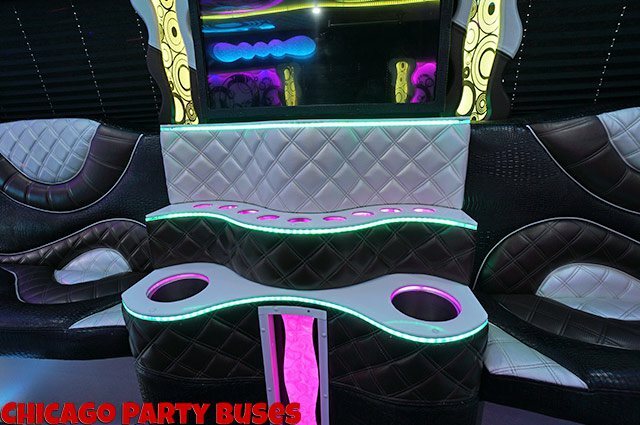 The lights aren't just inside this limo bus... we have installed exterior LED lights. When we go out, we go all out! 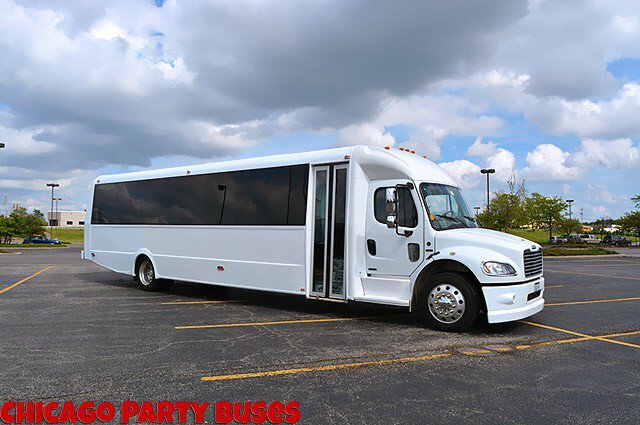 Our 34 passenger party bus is perfect for your largest get togethers like a prom party where the maximum amount of space is needed! The custom leather wrap around seating with comfy wave shapes and cozy quilted texture will provide all the comfort until drop off, as well as providing for easy chatting with your guests. The gorgeous LED lighting really sets the mood for both daytime and night time excursions. 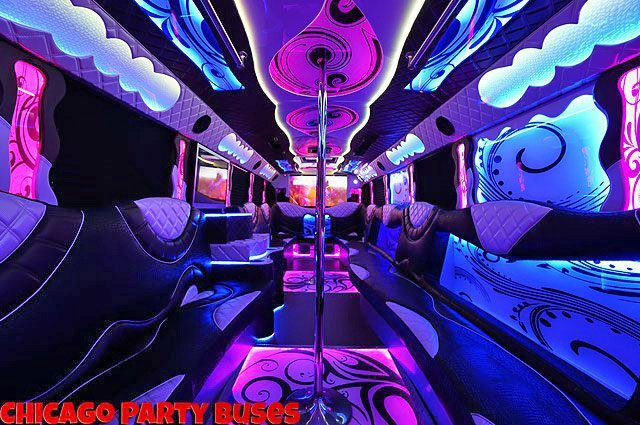 You'll love the lit bar area which is complete with champagne flutes (you just provide the champagne and it's a complete party on the road!). 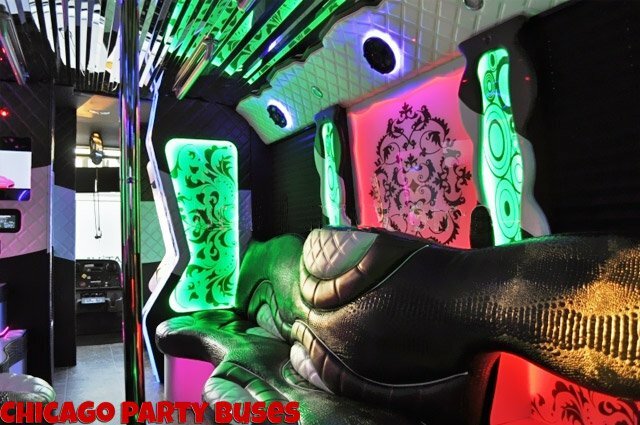 Many party buses have one LCD HDTVs, but ours has two! Both are large screen, and they pair nicely with our sound system for the ultimate in entertainment on the road. The optional chauffeur partition and window tint means extra privacy for your party. 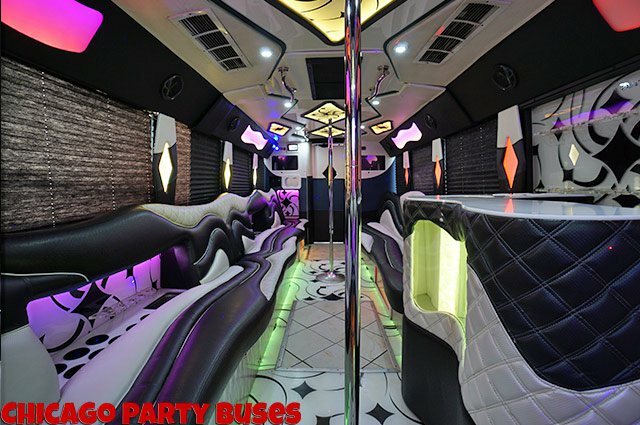 Our 34 passenger party bus is perfect for a night that is unforgettable with all of your friends! 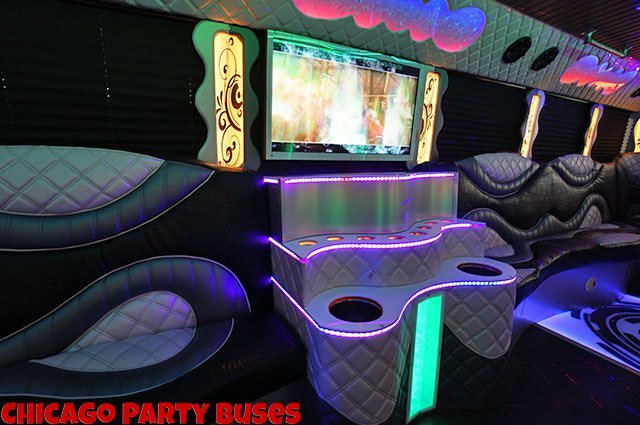 Our hand stitched custom leather wraparound seating is both beautiful and comfortable, this perfect blend of form and function is the quality you expect in a luxury party bus. 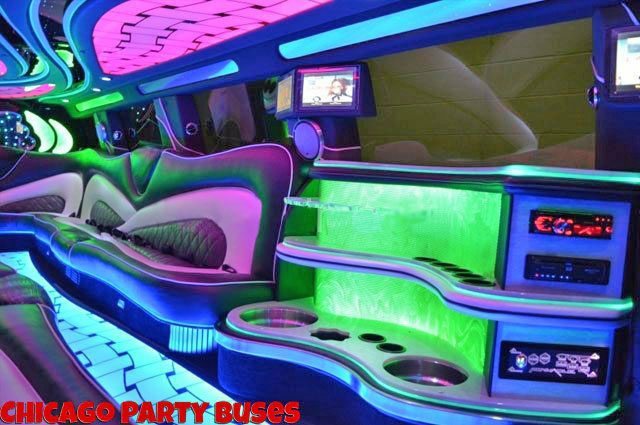 Gorgeous LED lighting throughout the vehicle will assists you in setting the mood. You'll love the lit bar area which is complete with champagne flutes (you just provide the champagne and it's a complete party on the road!). Two crystal clear HDTVs! Both are large screens, and they pair nicely with our sound system for ultimate entertainment on the road. Powerful air conditioning that will be appreciated in those hot summer months! 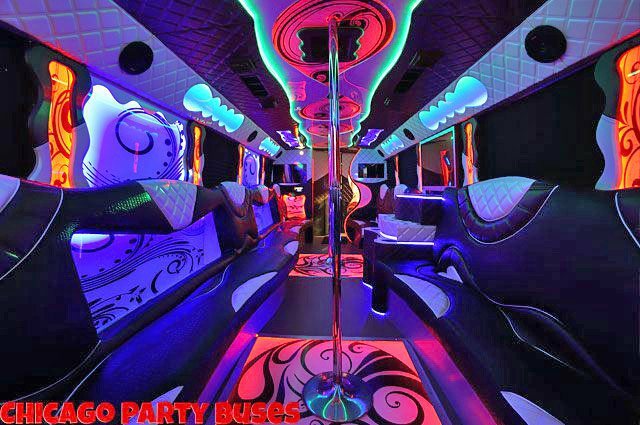 An optional chauffeur partition means extra privacy for your party. 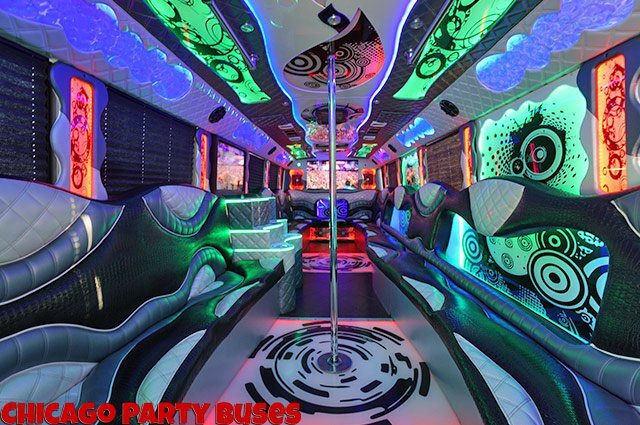 Our 36 passenger party bus is perfect for a night that is unforgettable with all of your friends! Our 20 passenger Infinity QX56 Limousine is perfect for your largest get togethers where the maximum amount of space is needed! 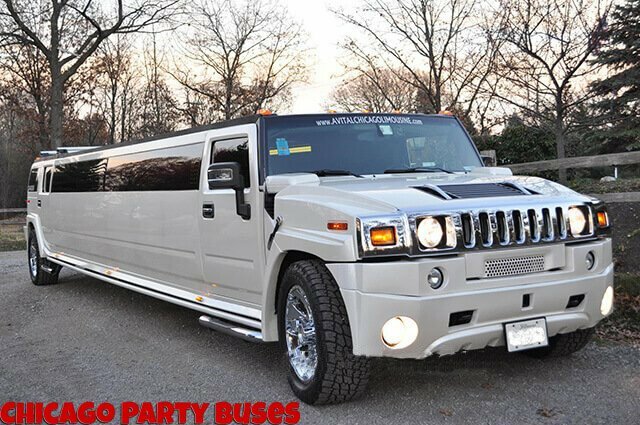 As great for a wine tour as it is a wedding limo, or even for proms. The custom leather wraparound seating with comfy wave shapes and cozy quilted texture will provide all the comfort that you need, as well as providing for easy chatting with your guests. We have included several LCD televisions in various spots throughout the limousine for added entertainment of you and your guests! They really play into the sound system well, so whatever you choose to enhance your evening will come out looking and sounding great! 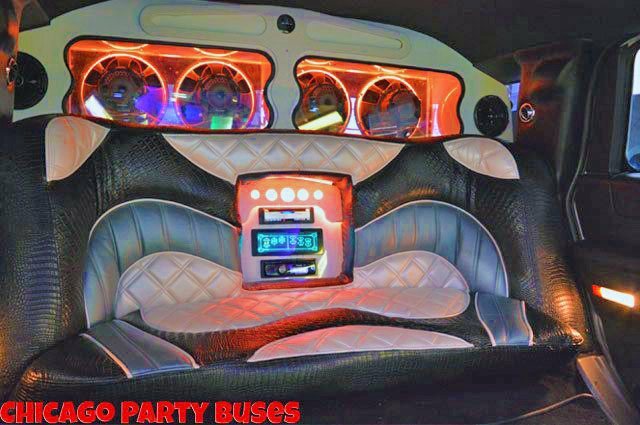 The back-lit flooring is perfect for dancing, and since we provide a high quality sound system with both CD player capabilities and an iPod dock, you can create the perfect playlist for the ultimate evening with your friends. The efficient and effective air conditioning will be appreciated in those hot summer months! 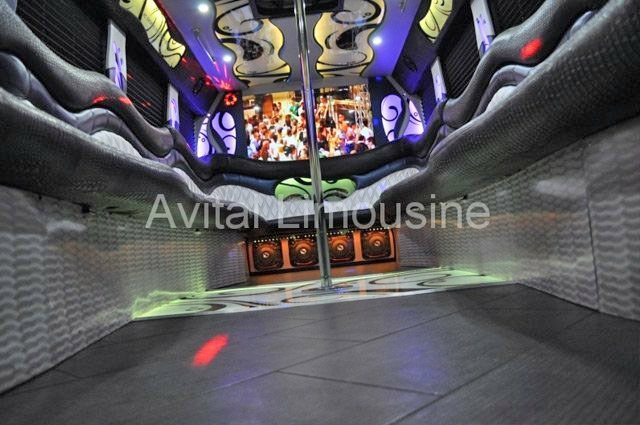 The optional chauffeur partition means extra privacy for your party. 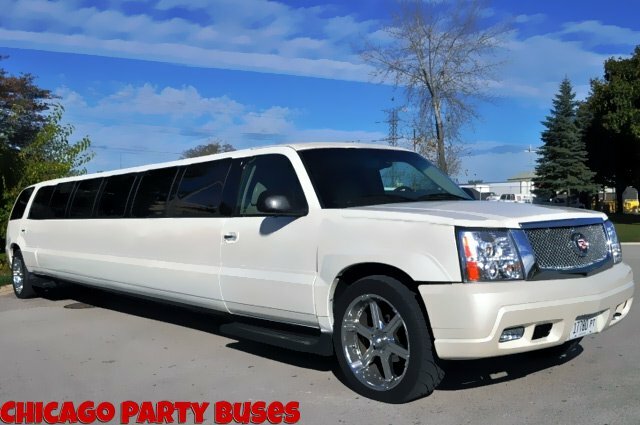 Our 22 passenger Cadillac Escalade Limo is perfect for your largest get togethers where the maximum amount of space is needed! 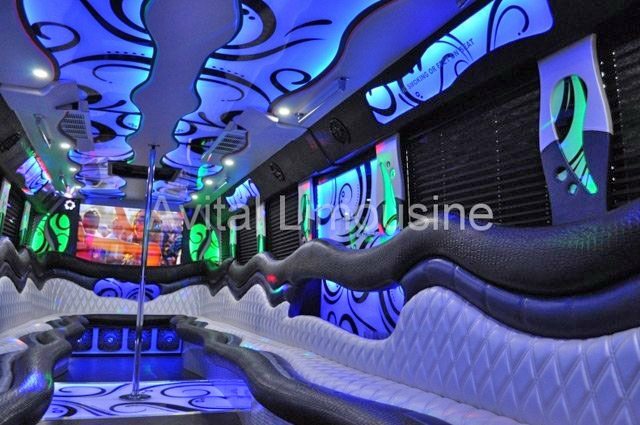 Many limousines have one LCD television, but ours has many! They are all High Definition, and they pair nicely with our sound system for the ultimate in entertainment on the road. The mood lit flooring is perfect for dancing, and since we provide a high quality sound system with both CD player capabilities and an iPod dock, you can create the perfect playlist for the ultimate evening with your friends. 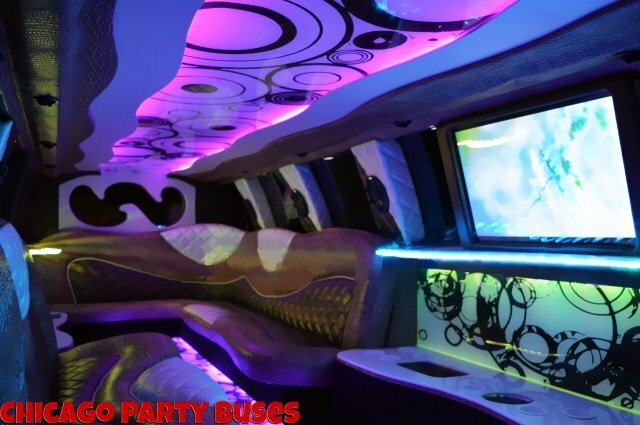 Our Hummer Limo is a mammoth of a party on wheels. People definitely take notice when you cruise down the street in a mean piece of machinery like this! If you're out to impress, this is the one for you. 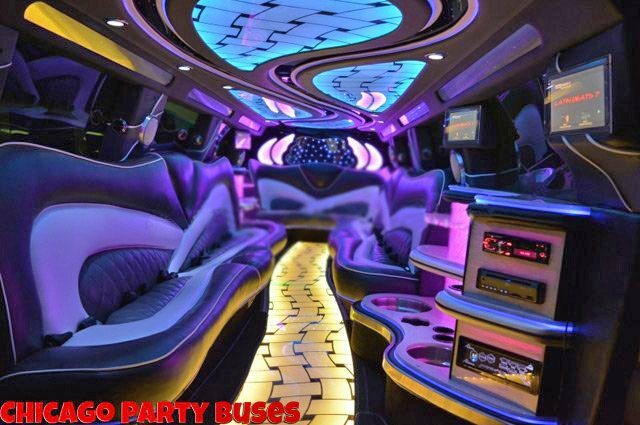 There is a private VIP area within the limo, which is a feature that's exclusive to this vehicle. Definitely a perk, especially for weddings, bachelorette parties, and bachelor parties! An unprecedented number of flat screen televisions fill the space with images and sound. Plenty of entertainment to keep your party in a good mood while you drive. The sound system is especially powerful in this vehicle, with crisp treble and rich bass. Don't forget to bring a stack of your favorite CDs, or just bring your iPod to hook up to our system! There's nothing better than designing the soundtrack for your travels. When the weather is cold, you'll especially love the fireplace in this vehicle. Gorgeous fiber optic lighting creates an atmosphere unlike any other. The marble bar tops in this vehicle are an extra touch of sophistication, and you'll also love that there are plenty of cup holders so you don't have to clutch your drink while you're on the road. Cozy leather seating and dark tint on all the windows! Both comfort and privacy. It also features a mirrored ceiling to reflect more light and create a beautiful effect. 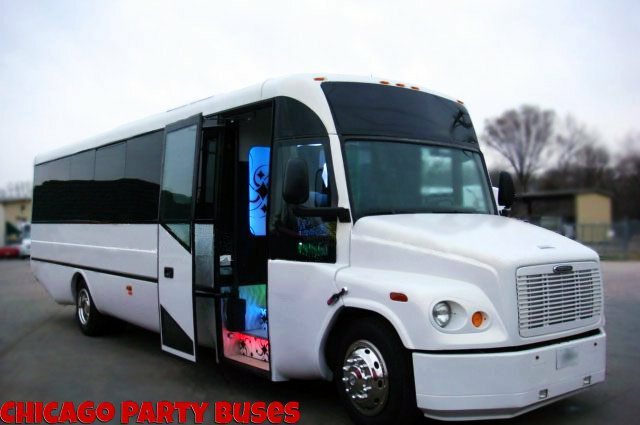 Our 30 passenger is a great choice if you're hoping for the capacity of a party bus, but the style of a stretch Hummer! 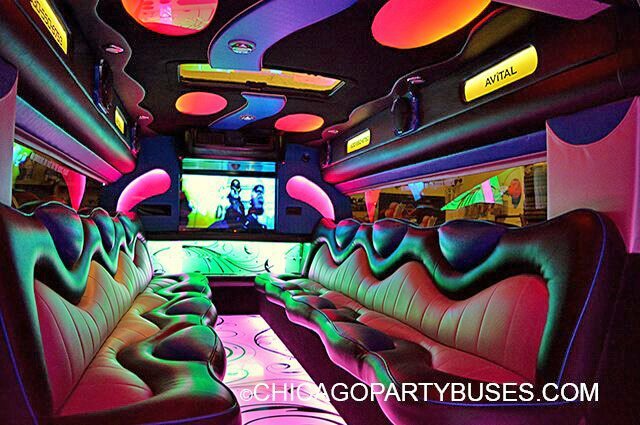 Perfect for a bachelor party, bachelorette party, or even corporate transportation. Enjoy your time spent in the luxurious confines of our soft and inviting custom leather seating! Our unbelievably cool mood lighting system really sets the tone for your big day! Enjoy the ambiance as the color changing lights glimmer and set a friendly enjoyable environment for you all to enjoy. Don't forget to bring your favorite videos along! Enjoy them on our HD television and let the tunes set the mood as they play through our unbelievable audio system. You can also use one of our screen savers and then hook up your iPod or MP3 player to our stereo for your own playlist of favorite music. The disco floor is also back lit and changes color to give an exciting atmosphere. Bring all of your favorite beverages and keep them ice cold throughout your journey. We've thoughtfully included several bar areas and coolers to accommodate as many drinks as possible. Perfectly climate controlled for your ultimate comfort. What good is a party if you're too hot or cold to get in the mood? 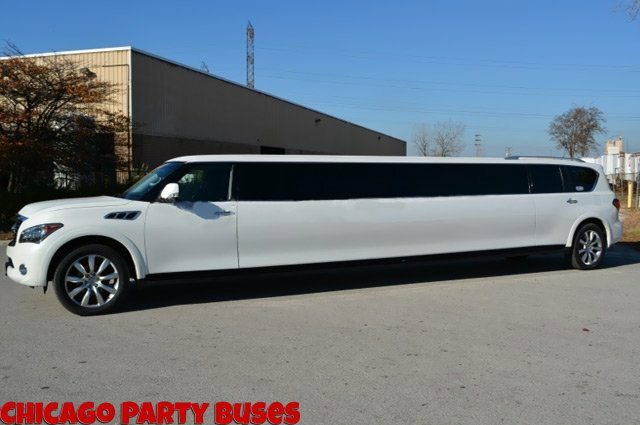 Enjoy easy access to this super stretched raised roof limousine via our gull-wing entry doors.